After years of working in shop fitting and then for Rent-a-kill in timber preservation, my Dad, Alan Cross decided in 1974 he wanted to work for himself. I was 10 at the time and remember going to ‘The workshop’ at the weekends where my Dad would allow me to (with supervision) hammer, plane, and generally ‘play around’ with wood, I also clearly remember the amazing smell of the place with all the timber in there, smells to which I’m now immune! Four years later I joined the business and our workshop had to move up two floors as the ground and first floor became ‘The Mill’ Public House and we were commissioned to do a lot of the fitting out of the pub. Another three years went by and the business grew to employ 8 people and moved to premises on Low Pavement, again in the Lace Market area. This workshop was not ideal as it was at the back of a church which meant a long haul when we had timber deliveries and also it was subject to break-ins with it being out of the way. It was now 1984 and things got pretty bleak, work dried up and the business nearly folded, but my Dad soldiered on and he moved to new premises in The ‘Meadows’ area of Nottingham, and we started making a range of display cabinets for collectors out of off-cuts and selling them at craft fairs throughout the country. Most Fridays we would load two vans, a trailer and a caravan and trundle off to the venue to unload and set up ready for the fair on the Saturday and Sunday. These fairs were hard work but they proved to be our savior and they got us through the bad times and cemented our reputation as cabinet makers of quality throughout the length and breadth of Britain. We remained in that workshop for twenty years and moved to our present premises in West Bridgford in 2004. 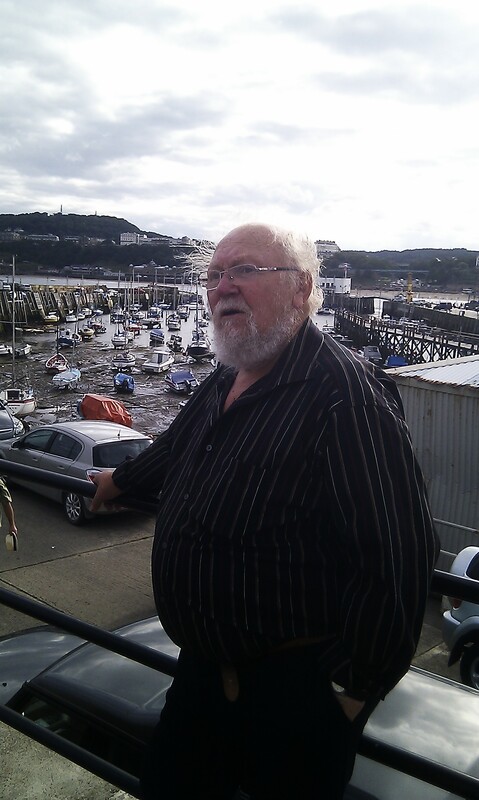 This was the year my Dad turned 70 and retired to the Yorkshire coast to enjoy 9 years of happy retirement and travelling around Europe before sadly passing on last April 2013 at the age of 79. I was so glad my Dad got to enjoy those nine years, as I can honestly say with no bias, that my Dad was the hardest working man I have ever known. His legacy lives on in the form of many many examples of his work throughout the UK, pieces that will remain long after you and I have gone. If you would be interested in stocking Display Cabinets or Cases please, please contact us via our contact page, link below. Terms to be arranged.